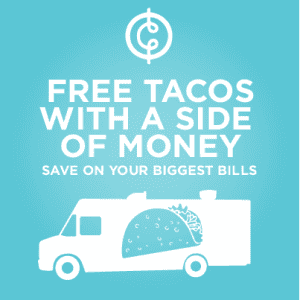 Free Tacos from Cinch Financial on the Greenway! On August 20th and August 27th from 12-2 PM on the Rose Kennedy Greenway at High Street, look for the Cinch Financial Team and Taco Truck to get two free tacos when you learn about their company! Cinch Financial is a Boston startup focused on helping people with their monthly bills. Stop and talk to their team for a few minutes and you’ll get a ticket good for two tacos and a water bottle. If you’d rather not chat with the team, tacos are still available to purchase but you do need to spend a few minutes with them for a free one. For more information about Cinch Financial, please head here or head here for more information about free tacos.